Competition – Win a Copy of Backpackers! It’s competition time once again (UK residents only). 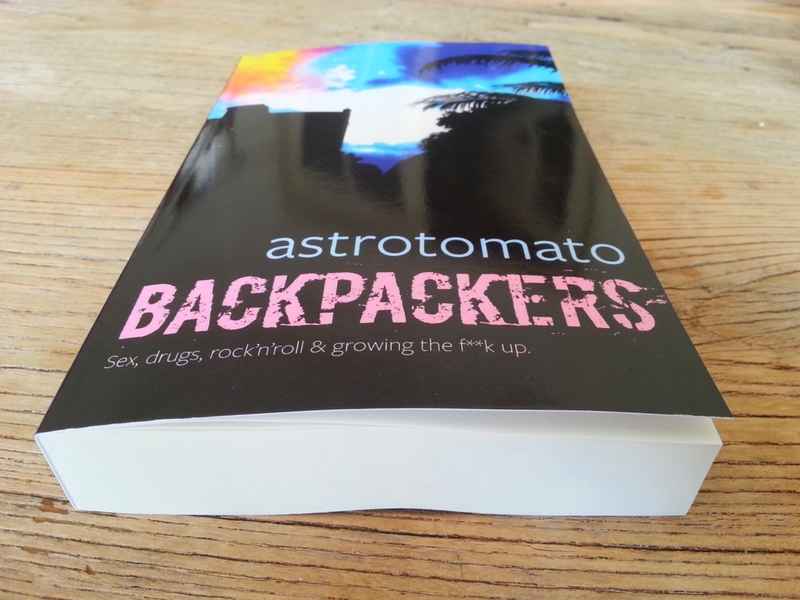 This is your chance to win a paperback copy of my latest book, Backpackers. The book follows a number of people backpacking through south east Asia in 2003. Each one of them meets Cath Pearson, who is running from home, screwed up on drink and drugs, and heading for oblivion. Ten years later in 2013, rock star Jack Wolf is in a similar situation: screwed up on drink and drugs and running from himself. He decides to find Cath, who he fell in love with on a beach near Bali in 2003. But the more he learns about what happened to Cath after they parted, the more he fears she may be dead. It’s a tale of growing up, of love and loss, of adventure and greed, and of villains and heroes. Rated 5* on its Amazon ebook page. To be in with a chan ce of winning this very copy in the picture, simply answer a few ridiculously easy questions and send your answers to me using the details below. 1. The first few chapters of the book are set in Indonesia. What is Indonesia’s capital city? 2. Later in the book, a boat journey becomes very dramatic for our main character Cath Pearson. The river she travels on stretches from Vietnam, through Cambodia, then up through Laos. Which river is it? It’s a big one. This competition is only for UK residents, due to postage costs. If you live elsewhere in the world and want to enter, I am happy to give away an .epub file of the book for e-reading devices as a separate prize. This prize is only available if I receive entries from outside the UK. None of my family are allowed to enter. Isn’t it about time you bought a copy, anyway? Oh yes, closing date. Please ensure your entries are with me by midnight (GMT) on Saturday 22 June.